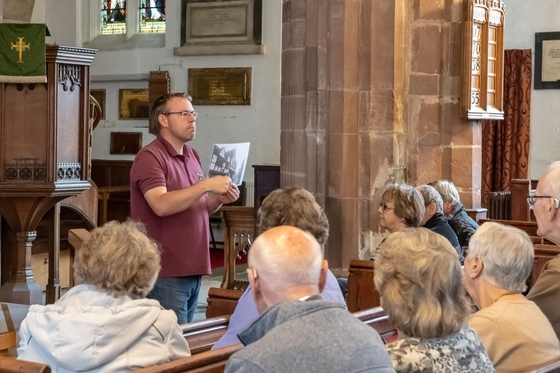 Despite the horrendous weather conditions on Thursday 20th September over 60 people turned up to hear Paul Harding, AKA the History Man, delve in to the history of some of Worcester’s finest and oldest buildings. As you can see from the pictures it was a full house of very enthralled people. I just do not know how Paul manages to remember all the dates and facts, but he was not stumped at any point, couple of times he had to think which building someone was asking about but as soon as he had it then the facts started coming.